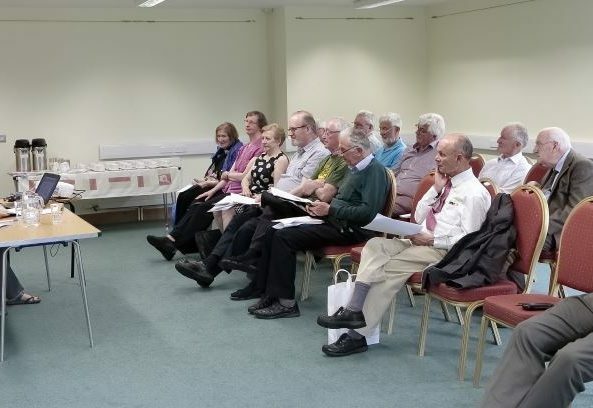 The final meeting of the calendar year also doubles as our AGM and the topic this time was on Hearing Loss and associated Audiological problems – which went down very well. 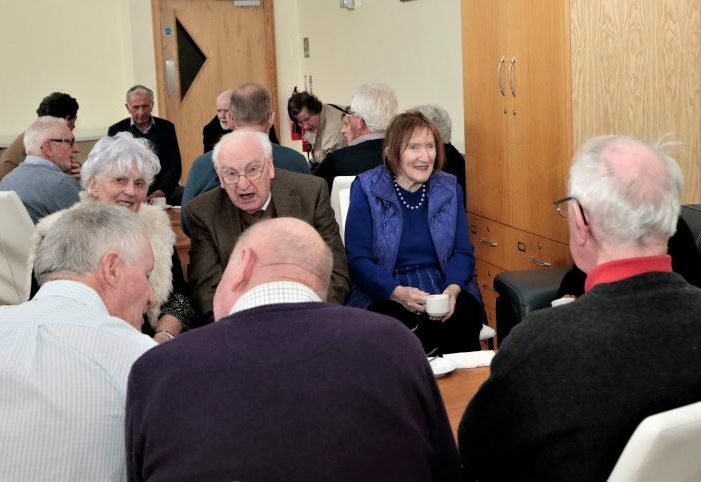 Jean Hegarty delved into her arsenal of case histories and explained the order of the age -related hearing loss as against loss where genetics or injury has played a part. 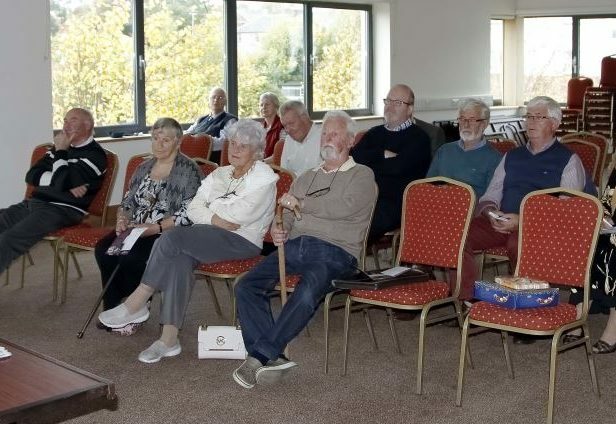 She stressed the very important need to have ones ears tested ‘professionally’ as there are many ‘bandits’ out there ready and willing to convince their ‘patients’ they need hearing aids – whether the need them or not. 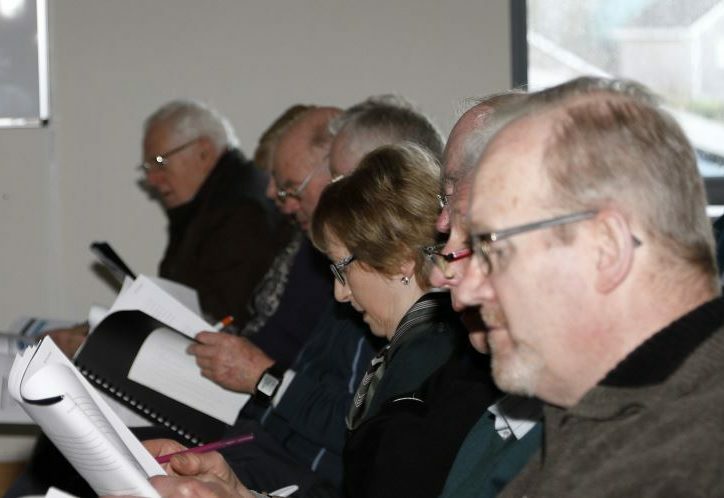 And as for the cost, she was also scathing of the various practices and the enormously expensive costs of hearing aids – with perhaps the same hearing aid varying in price by up to €2,000.00 or more for a pair. The ‘industry’ is still officially unregulated so these so called experts can charge what the like. 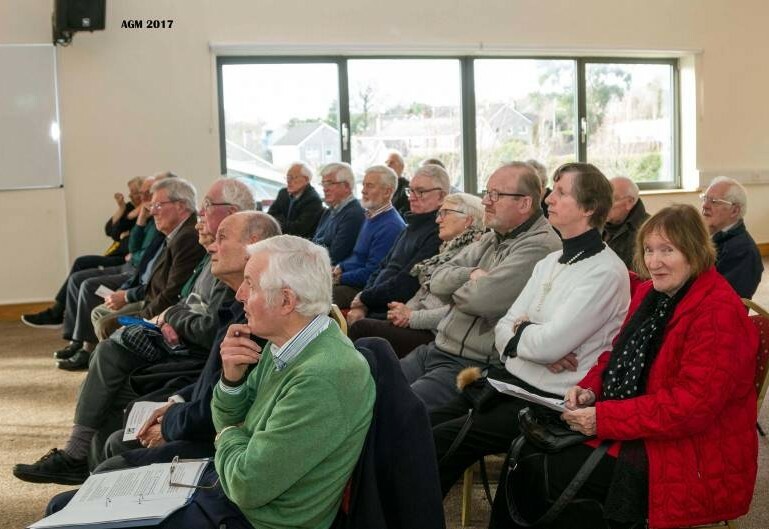 She also warned to beware of the ‘free’ hearing test – she would say it’s just a ploy to get you inside the door and with the almost inevitability of being told – “Yes”; you do need hearing aids. Tread carefully and don’t sign-up too quickly. 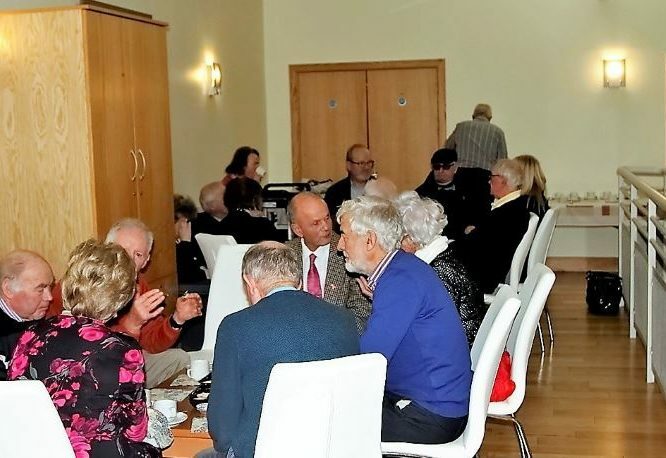 The AGM followed the Q&A session and a full meeting was held and all Officer and Committee positions filled from the floor before everyone left to travel the 100 odd metres to the Wilton Bar and Restaurant where a lovely meal was presented – all in very comfortable surroundings. 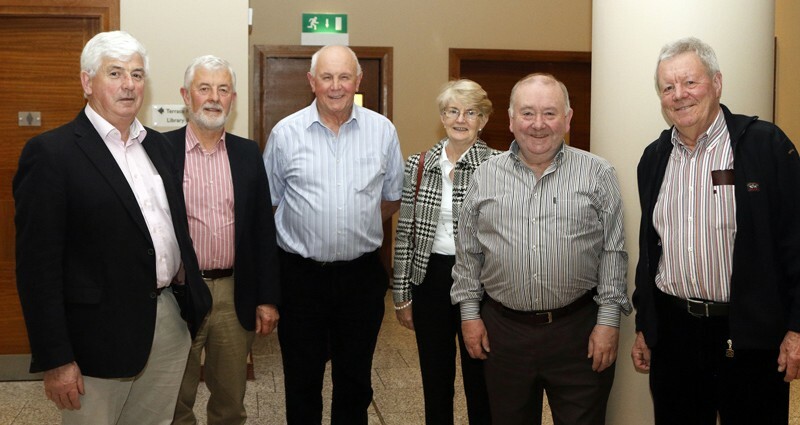 I should mention also that the Cork Branch Officers and Committee meet an additional five times a year – generally 2 weeks before each Branch Meeting, to review – and plan ahead to the next meeting. 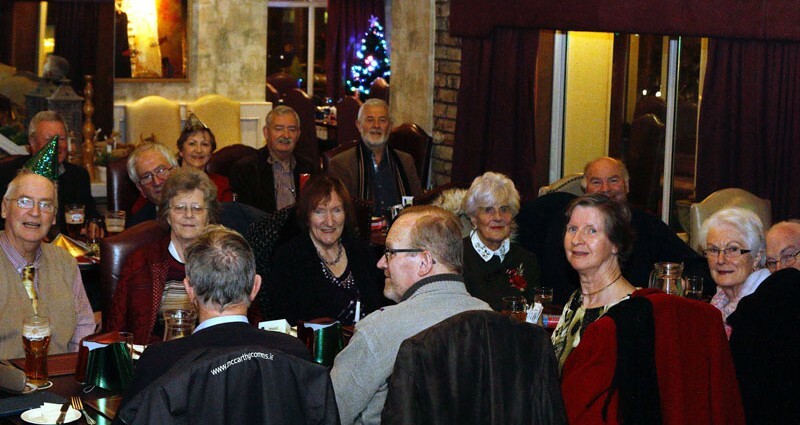 Our next full Branch meeting is on January 31st – our first Committee meeting of 2019 – two weeks before. 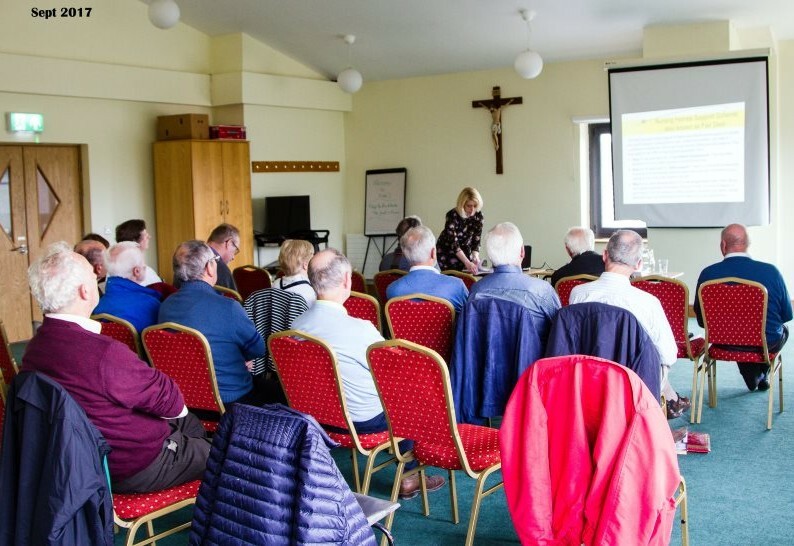 Our September meeting actually took place on the 4th October because the September original date clashed with a Management meeting – so it was the 4th October we came together again to hear Elizabeth Crowley speak on the topic ‘Home Instead’. Most everyone is familiar with the ‘Fair Deal scheme operated by the HSE and most everyone considers it rather expensive, to say the least. 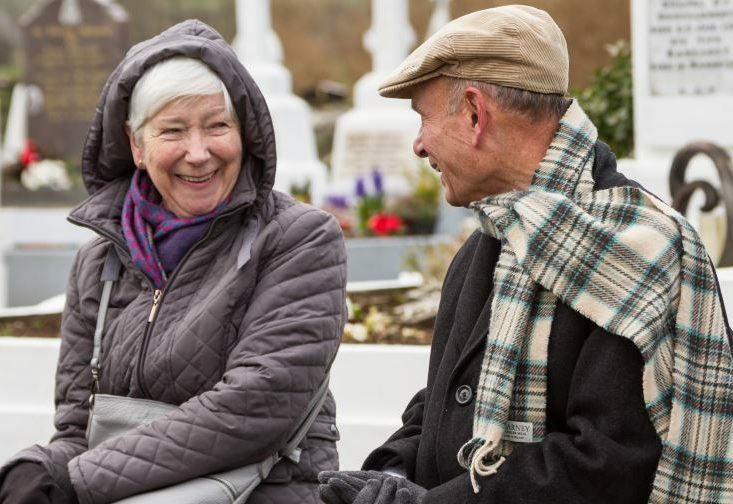 It makes perfect sense for a person to remain on in their own home – where practicable – for as long as possible, to be cared for by family – again where possible. 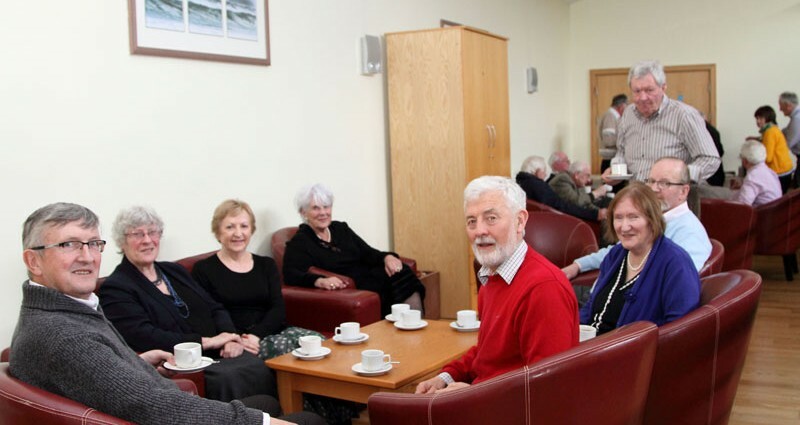 Where no family members are available the like of Home Instead can provide care assistants to carry out most home duties – again at a price – but we have all come to accept ‘everything has a price tag these days. 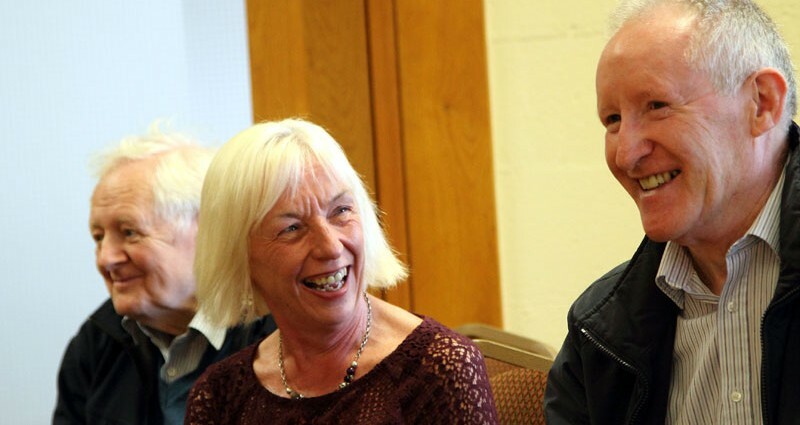 There are lots of other options too in the are of Home care – and you can also get a live-in care assistant if circumstances warrant – and all at a price of course. 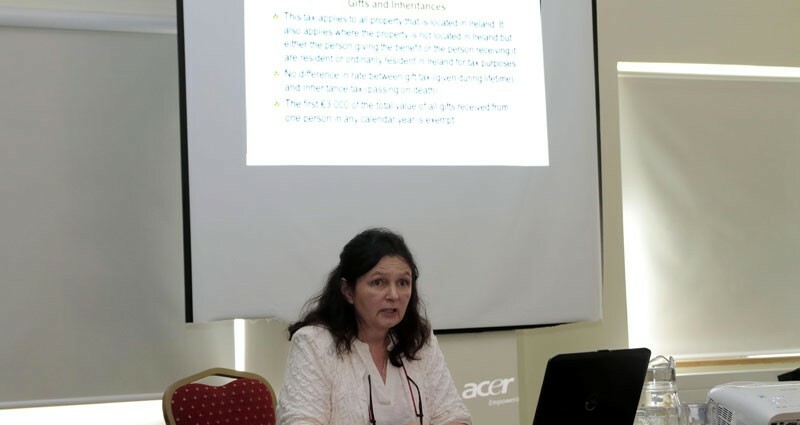 What came across loud and clear from the Fair Deal scheme option – and we did have a talk last year on that – was that the more money and assets one has – the more one is expected to pay. That said you are entitled to offset the cost of the Home Care and Fair Deal option against Tax – at least that’s something. Again a mountain of question to Elizabeth on the finer points of the Home Instead and then the inevitable cost comparison between it and the Fair Deal scheme. 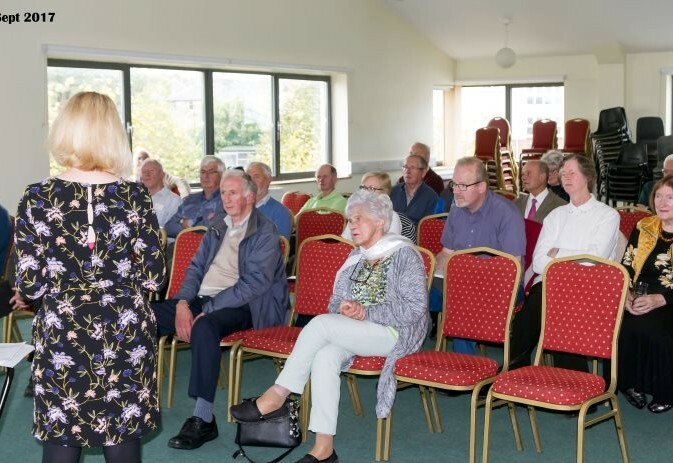 Onwards then to our final meeting of the 31st May before the summer break and we had Linda O’Flaherty of the Citizen’s Information Service in to give a talk on the intriguing topic of Power of Attorney. The ‘necessity ‘ of the POA business is very basically to have someone you can trust, in place to act for you, if you are ill, or when you are away, or incapacitated in some way and unable to manage your personal and business responsibilities – hence the POA position. 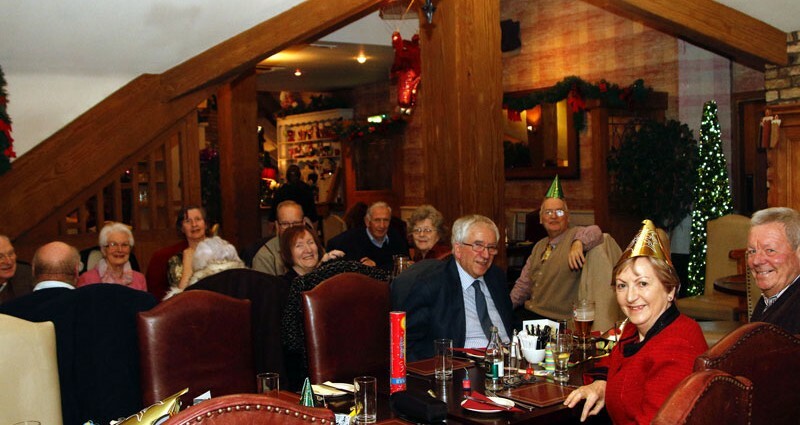 Understandably as we get older – the need for help in this area becomes obvious. 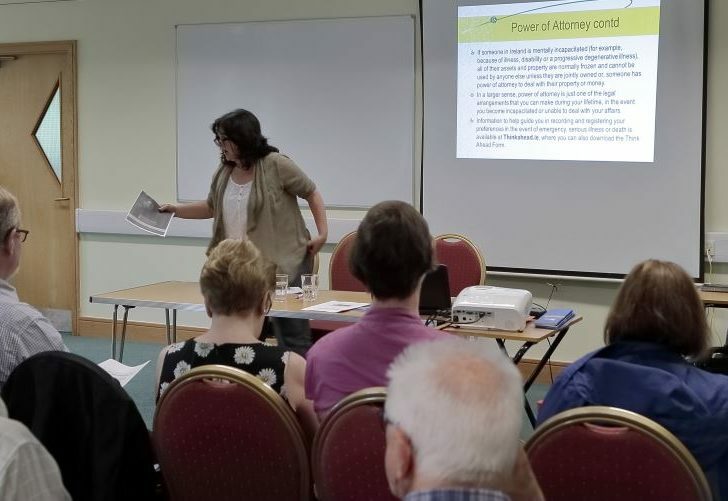 There are also different levels involved also – in that apart from the above stated Power of Attorney , there is also a Special POA and an Enduring POA – and maybe even more – so something to be sorted legally if the need is there. Loads of questions follow these talks and the information and the updates are very helpful especially where you feel a close relative might benefit from this kind of help or intervention. 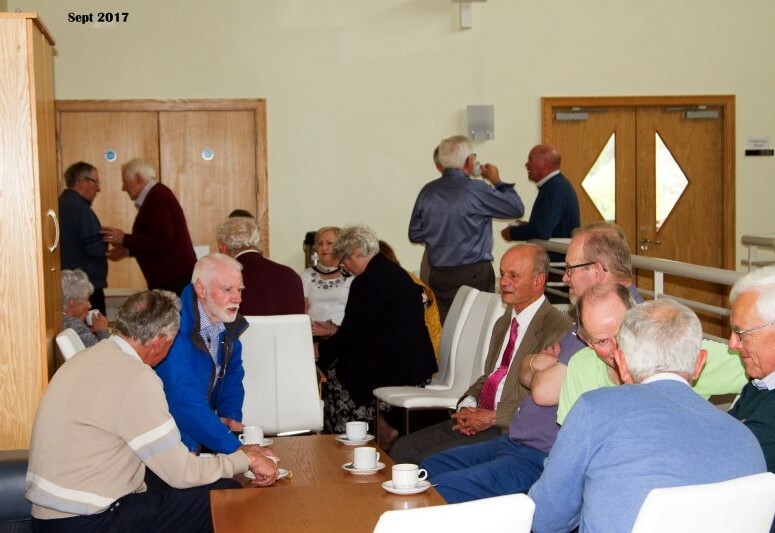 We generally finish out the year with a short get-together and some light refreshments after the final meeting and then its holiday time as we knew it for June, July and August. 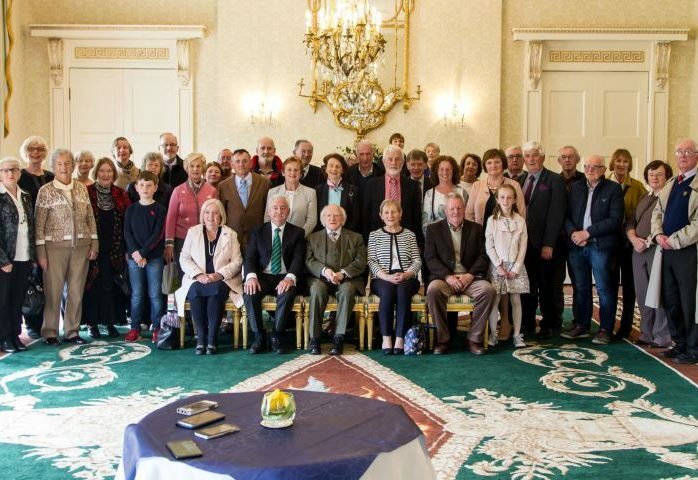 Following on the heels of the very successful 2018 Spring Break in Rosscarbery , West Cork we had our ‘planned’ day in Dublin on the 2nd May, which included a visit to the Dáil in the morning and the Árus in the afternoon, where we had a an audience with Michael D himself. Again everyone seemed to enjoy themselves and all 43 returned home a little tired certainly, but with a smile on the face – mind you the smile was there most of the day – and it showed. 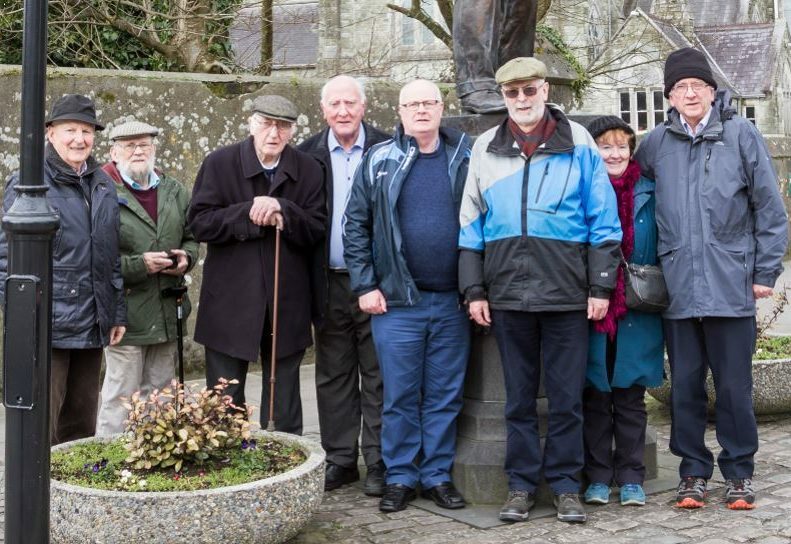 The Árus was wonderful and the guided tour very much appreciated, and as for the man himself he was the epitome of hospitality and graciousness during the visit. He went out of his way to speak with almost everyone and was completely at ease and joined us for a beautiful afternoon tea, while still making himself available for photograph after photograph. And then to top it all, and as we were leaving, we were given a most beautiful memento of our visit– an inscribed letter opener in an equally beautiful presentation case – a memorable day surely. I’ve little doubt he got all 43 votes in the Presidential election!! Just seven days later we held our ‘proper’ meeting in Cork on the 29th March and our keynote speakers were ‘home-grown’ in every sense of the word and Donal Buckley and Tim McCoy gave a very interesting talk and kept us entertained and intrigued with a lesson in motoring and motoring related humps and bumps from punctures to prosecutions and Insurance to breathalysers limits. However the main thrust of their talk had to do with the ‘rise’ of the Autonomous Vehicles and the ‘demise’ in the near future of the Petrol and Diesel engine cars – the words having even more meaning today as we bear witness to a very dangerous rise in Global warming, while our energy creating methods are coming in for much criticism – and combustible engines being one of the first to bite the dust. We have little choice I fear but to take heed of the growing impetus and open our minds to embrace the ‘electric’ and hybrid vehicles – from now on. 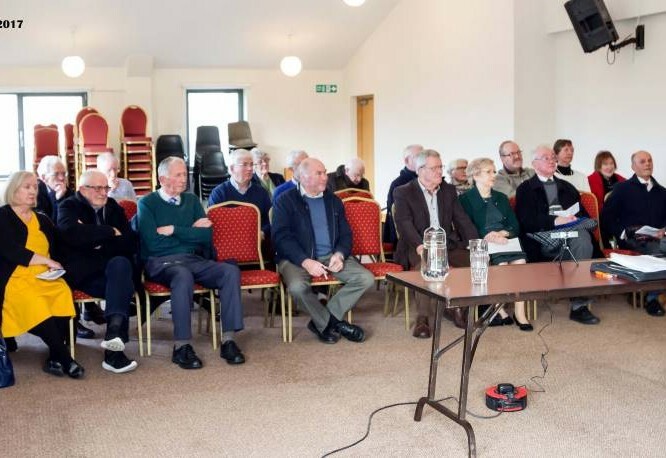 Ordinarily the CIT Lunch would be held in March but as the Branch was hosting the Spring Break in the Celtic Ross Hotel in Rosscarbery, and we had our bi-monthly meeting also in March – the lunch was brought forward to February. And so, the Spring Break went ahead on the 20/21/22 March and was very well supported and went down a treat. 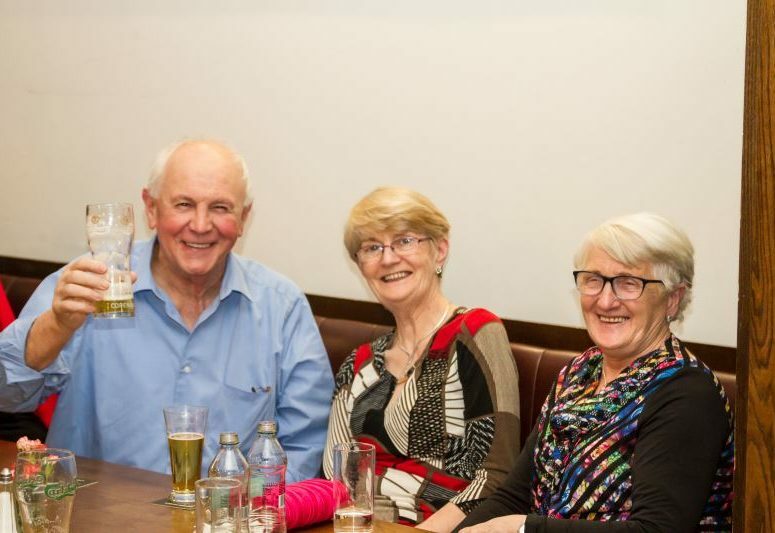 The tours and the evening entertainment were also well received and supported while the Hotel accommodation and meals lived up to expectations. All in all, a very successful few days and the feedback was uplifting. 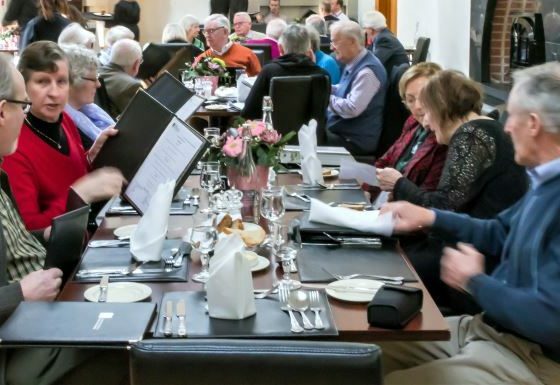 On the 15th February we followed closely behind our Social and Cultural Officer Annette Hannigan as she led us through the doors of the Executive dining-room of the Catering and Hospitality Complex of CIT, where we feasted for what seemed like an eternity. 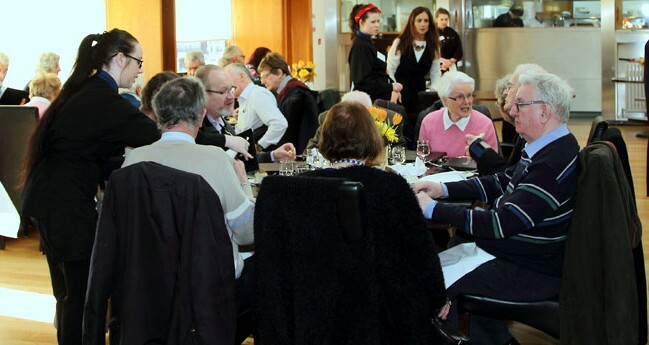 The food as always was excellent as indeed was the service from the students who did themselves and the College proud. 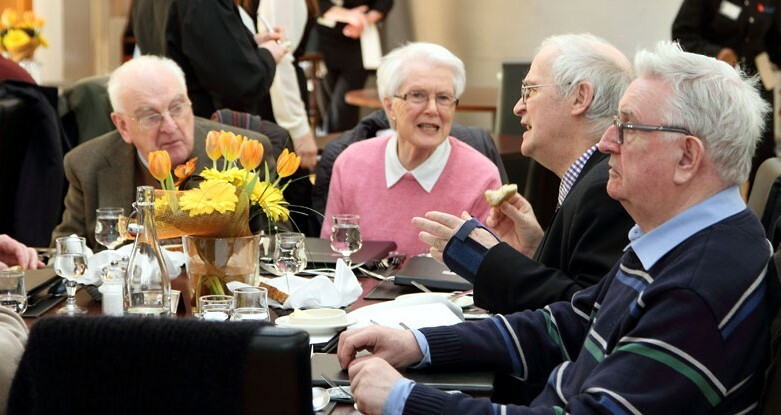 Now established as an annual event – the competition for a place at the table is keenly contested. Well done again Annette. 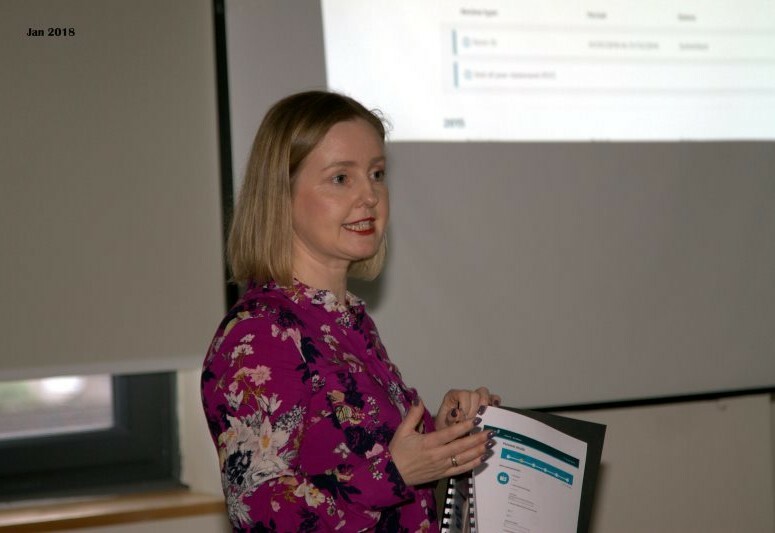 Making a clean start to the year we entertained Sinead Curley from the Tax Revenue Office in Cork to talk to us about the prospect of doing our Tax returns on-line. 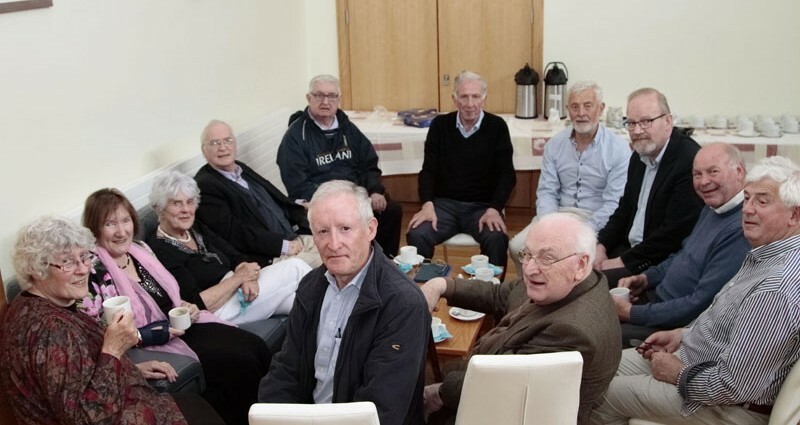 Initially the idea was that our members would attend a computer class where the principals involved with completing returns through Revenue -on-Line would be firstly explained – and then go through the motions with a simulation programme – at least that was the idea. However, it seems we were well ahead of the posse in our request and Revenue hasn’t quite caught up yet. 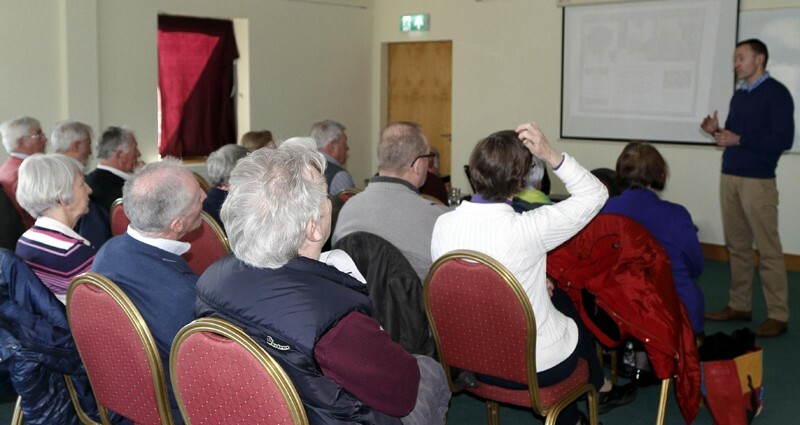 That said Sinead explained what was involved and her talk was well received by everyone present. 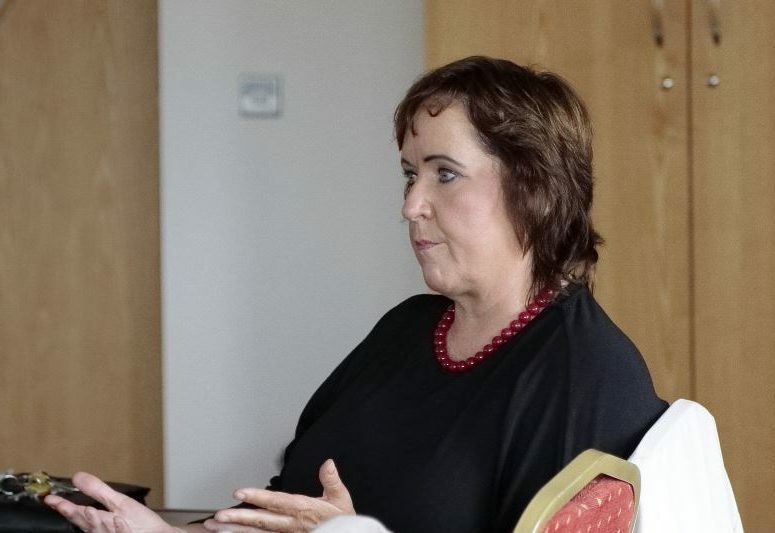 She was quite enthusiastic about the prospect of floating such a simulation programme for anyone interested and was going back to her immediate ‘boss’ to discuss the matter further. It appears Revenue has computers available in one of the Cork offices where instruction is available from Staff on the question of R-O-L. Understandably individuals can access their personal files and ‘practice’ with the help of staff – but for a classroom setting a new and probably quite detailed software programme would be necessary – hence the difficulty. 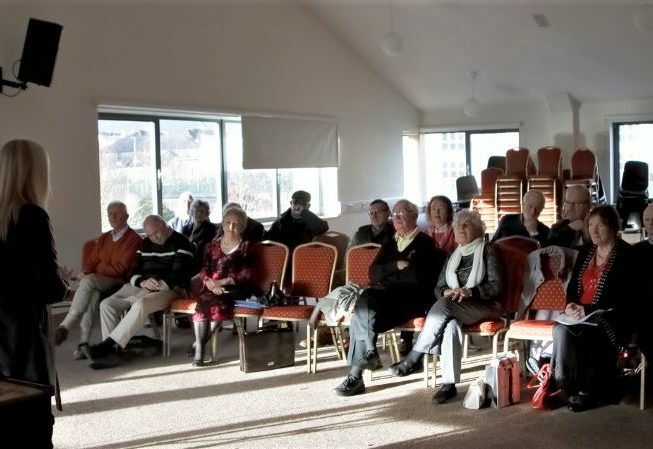 Just a quick re-cap on the happenings in the lead-up to Christmas, September 2017 is the kick-off meeting of the Branch and Martina Mahony was the keynote speaker from the Citizens Information Service to update us the operation of the controversial Fair Deal scheme as operated by the HSE, and while most everyone is aware of its existence many were not up to speed on how the HSE calculate the final weekly payment and the fact there continues to be a lot of unease surrounding the scheme. 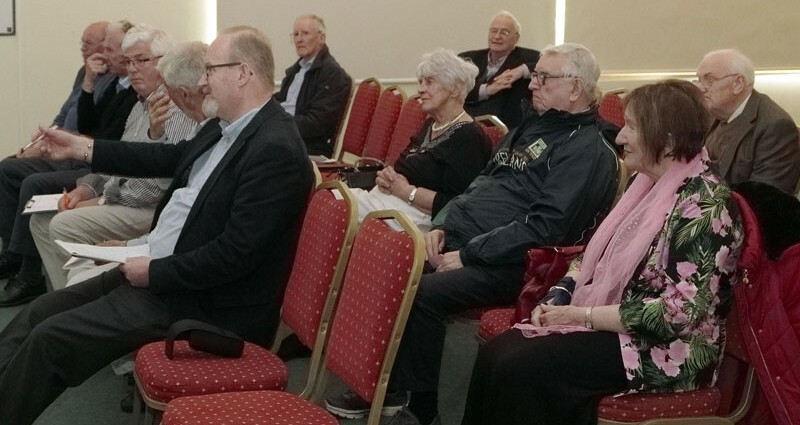 But it is what it is and the rules are there whether we agree with them or not – so we advised our members to come along -listen carefully -and then pose as many questions as deemed necessary – which they did. 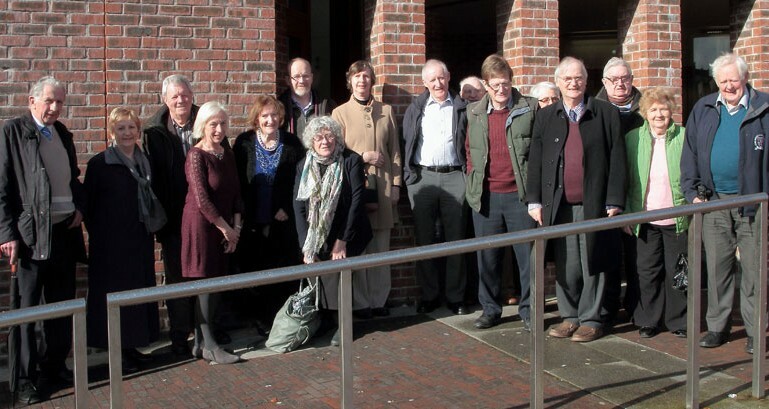 Many were unhappy with the ‘mathematics’ involved in the calculation process and the term ‘Unfair Deal’ -rather than Fair Deal was the general conclusion when people realised the full facts. 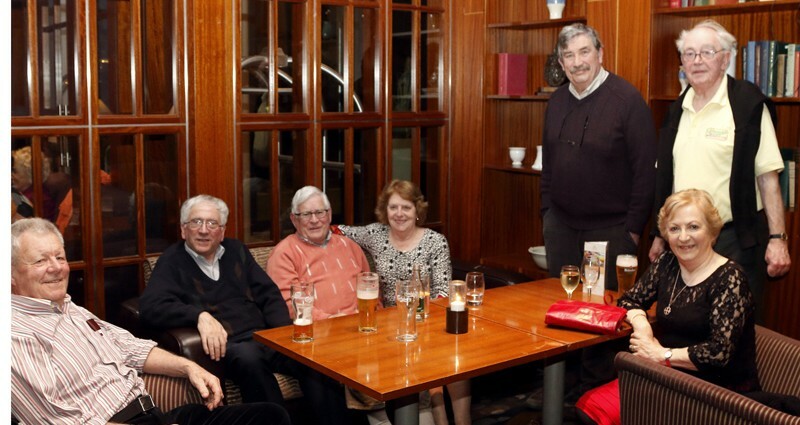 We held our AGM on the 30th November in Brú Columbanus and a well-attended gathering it was too, and we finished off a very successful day with a lovely meal and get-together in the Wilton Bar and Carvery where we wined, dined and chatted for a few hours and maybe even attempted to ‘solve some of the world’s problems’ in the course of the evening. 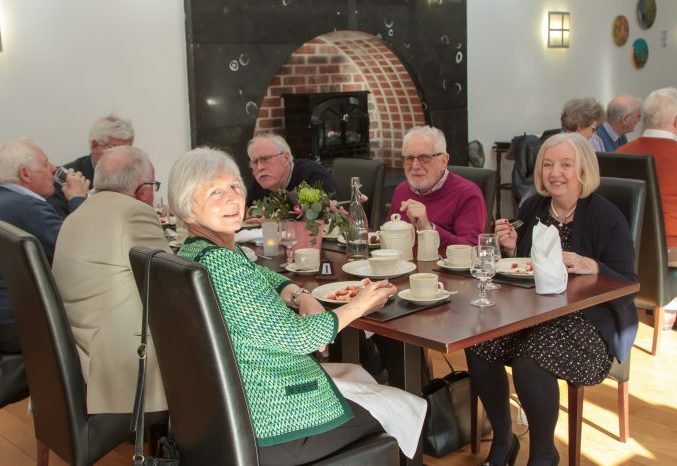 It was a very enjoyable occasion and thoroughly enjoyed by everyone – so a big thank-you to Annette Hannigan for organising. 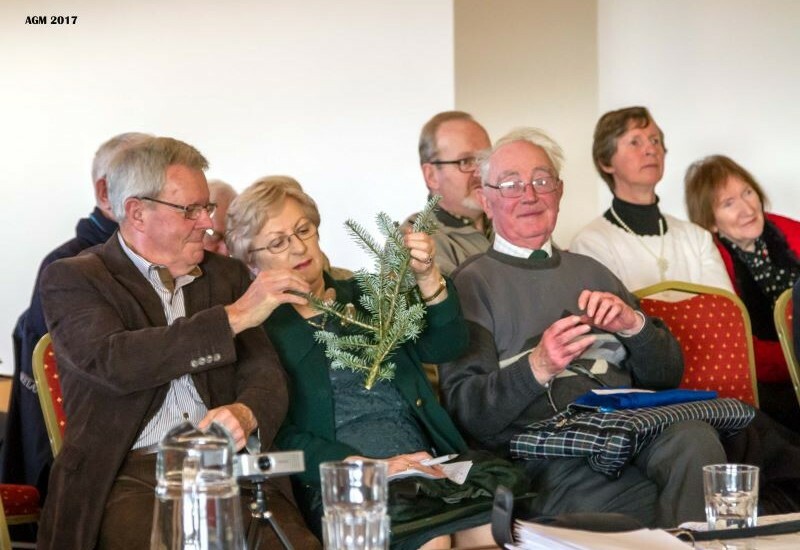 Our speaker on the day to kick-start the AGM was Pat Lenehan and he began his very fine talk on the treatment and caring of shrubs and plants with special emphasis on Christmas shrubbery and followed this up with some interesting demonstrations of putting together simple effective floral presentation pieces suitable to hanging on a wall or for the Christmas table or Hallway. 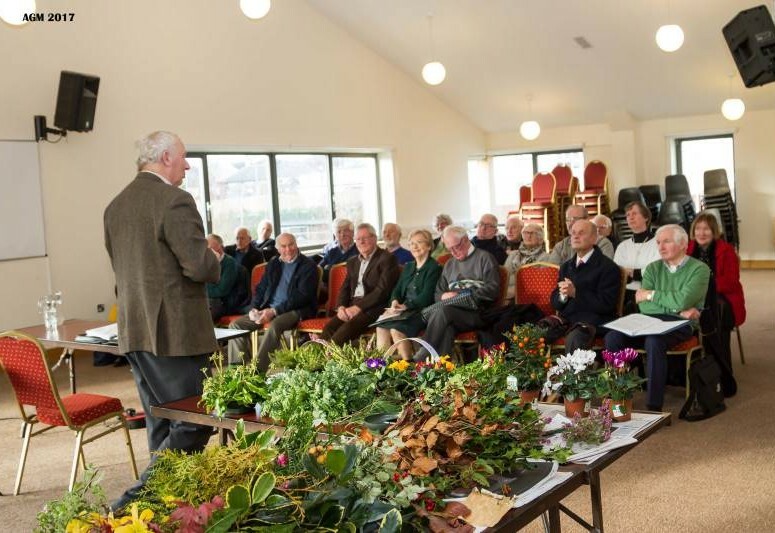 Pat has years and years of experience in the horticultural industry and began his teaching career as a Rural Science teacher before progressing to third-level and PLC type courses. 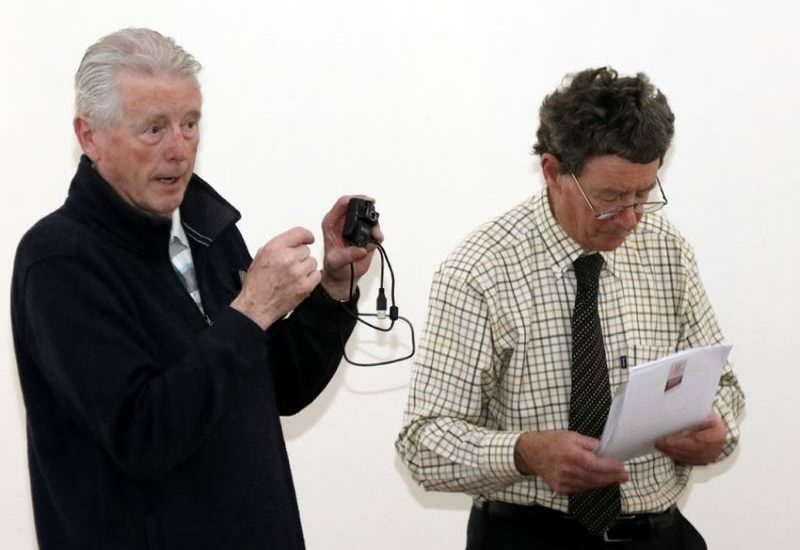 A willing and enthusiastic servant of the RMA Pat gave people loads of help and encouragement on the day and answered a tankful of questions – and offered his services again to the RMA for some time in the Spring of 2018. 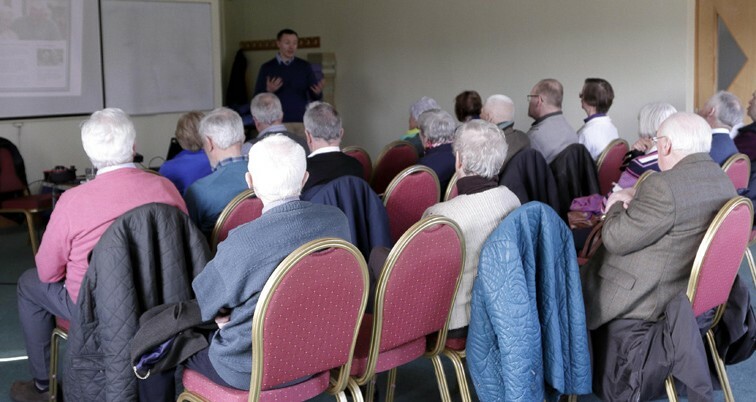 Pat’s talk was followed by the tea/coffee break and then very quickly we were into the AGM proper. 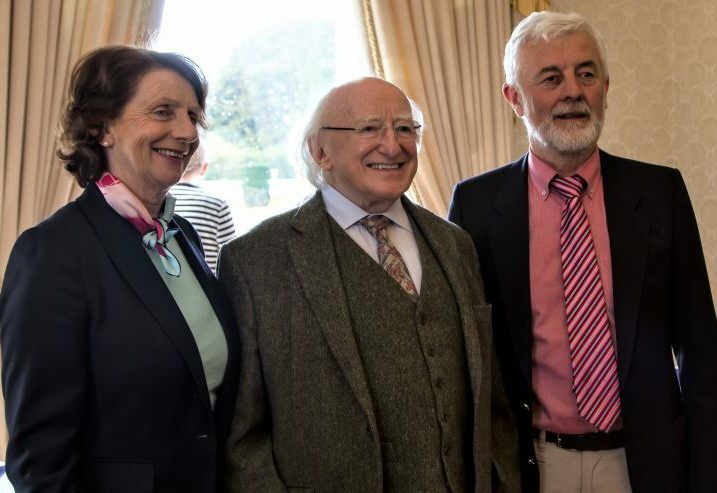 We had a distinguished guest present on the day in the person of Tim O’Meara . Tim is the National Treasurer of the RMA and we were aware he was going to be in attendance as we needed to elect a Cork Branch representative to sit on the National body, and to do that we were informed we needed to have two National Officers present – hence Tim’s presence – the second Officer being our own Honorary Secretary and also the National Social and Cultural Officer Risteárd O’Criabhín – so we were all set to go. Tim O’ Meara was kind enough to provide additional information on the pension issue and he highlighted the problems relating to full restoration of our pensions. Very briefly those receiving pensions of up to €34,132.00 – as and from 1st Jan.2018 will not have any further deduction taken from your pension and you should be getting your full pension entitlement from then on. 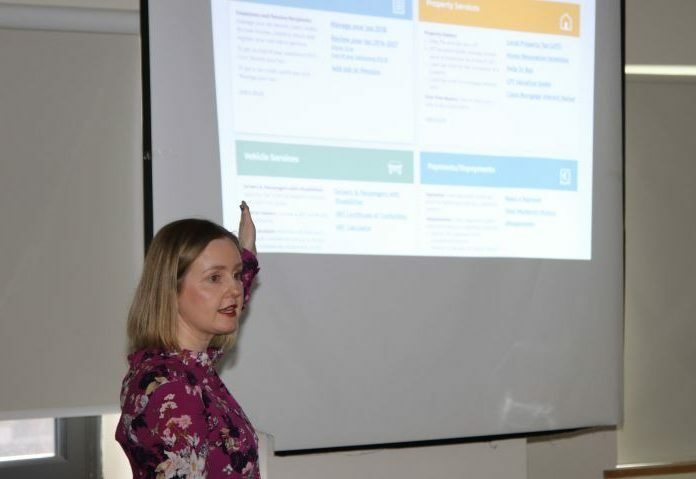 In January we had a speaker from Revenue M/s Sinead Curley to give us a talk on the operation of the Revenue-on-line taxation system and she gave a very enlightened view of the benefits, not lease not having to travel long distances to Revenue Offices and having to cue for long periods waiting to see Revenue officials. 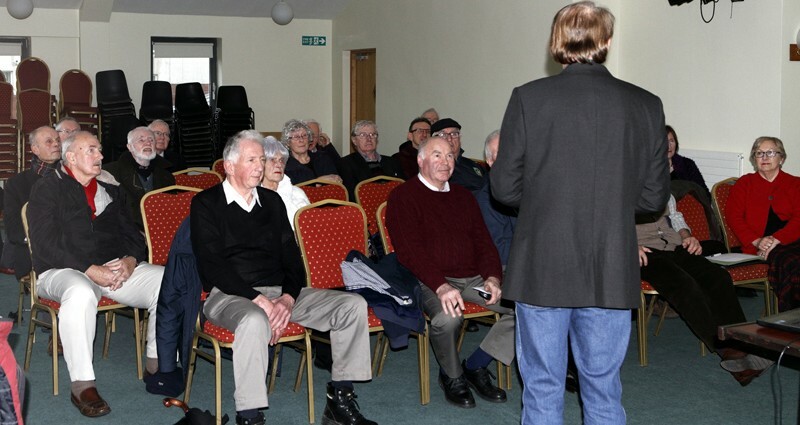 Sinead gave brilliant handouts to members and was happy to take questions afterwards. The possibility of a ‘hands-on’ type course in a classroom format was suggested – and while such is not presently available, Sinead and she is happy to pass the idea up the line and will keep us informed. 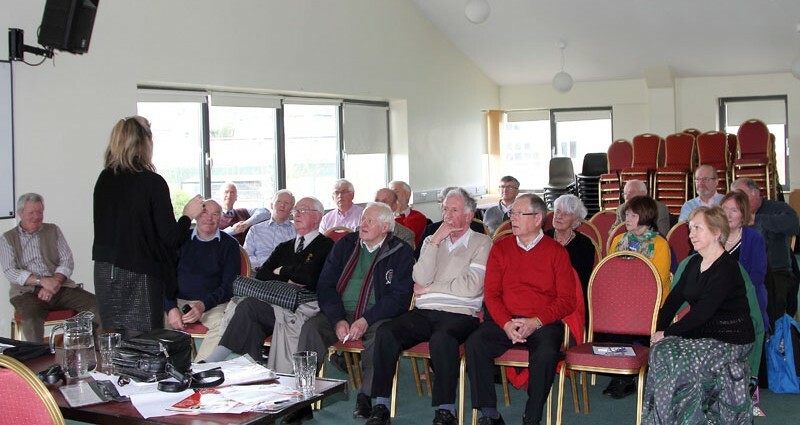 Our final Branch Meeting of the year was again held in Brú Columbanus on the 18th May 2017 and our speaker on the day was Linda O’Flaherty – the Information Officer with the Cork City (North) Knocknaheeney branch of the CIS organisation. 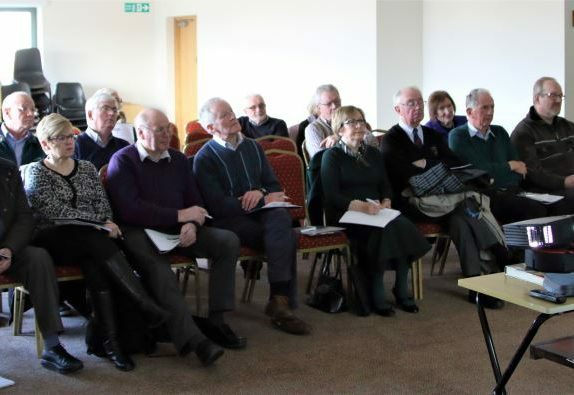 Linda’s introductory talk was on the operation of the CIS service and the range of topics they cover, and then at our request, addressed the specific area of Will’s and Inheritance – Legal and Tax Issues; Enduring Power of Attorney; and the Fair Deal Scheme. 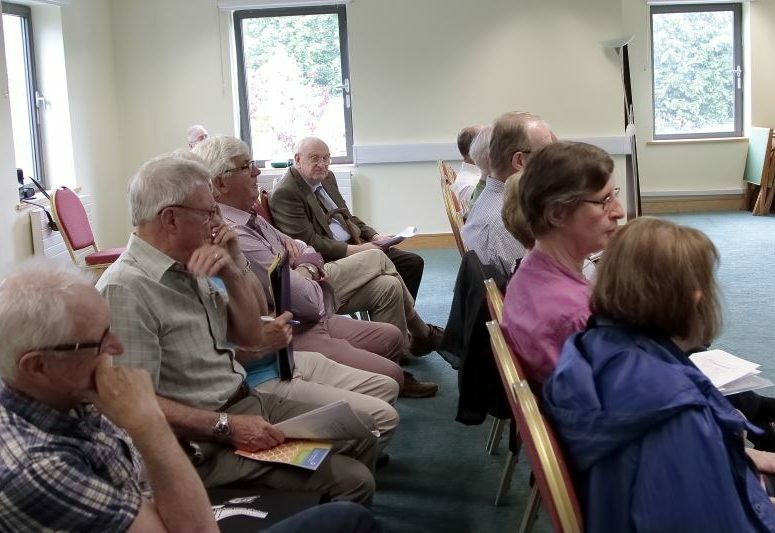 Such was the interest and follow-up questions on the first two talks, that Linda ran out of time to touch on the Fair Deal Scheme so that topic is postponed until the autumn series. 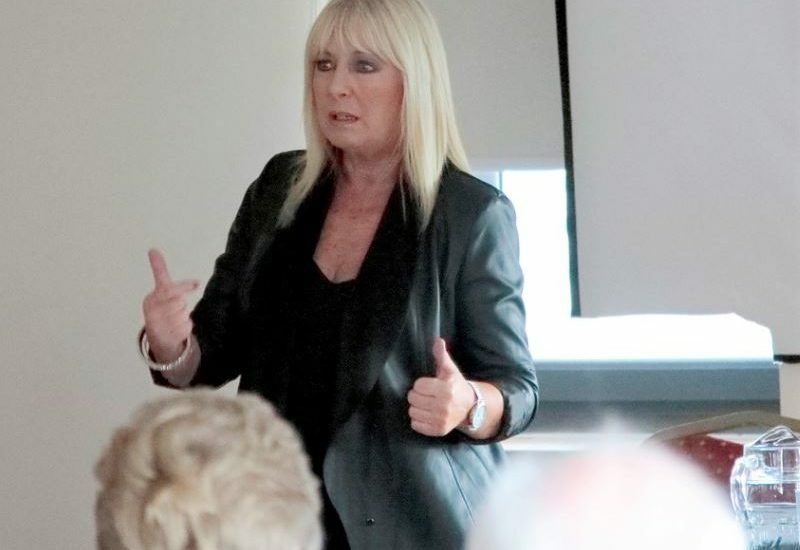 Linda’s presentation was excellent and well received by the appreciative audience who ended up directing so many questions to her that I had to ‘step in’ and request Linda to come back again which she said she is very willing to do. 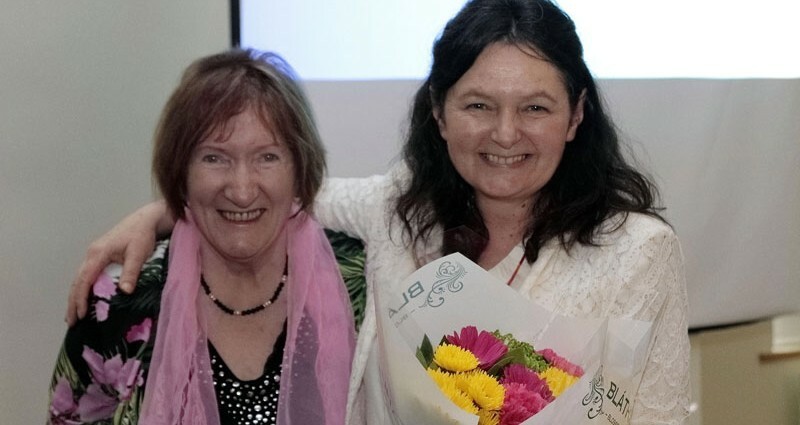 I then thanked Linda for facilitating us with her very informative talk and Our Social and Cultural Officer Annette Hannigan then presented Linda with a token gift of a lovely bouquet of flowers in appreciation of her talk. 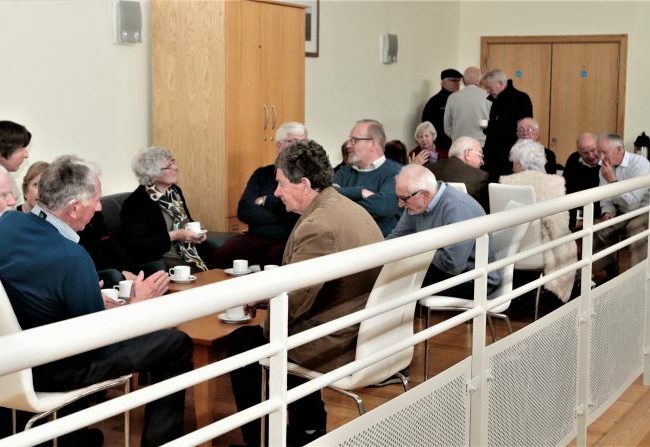 Teas and Coffee’s followed as members mingled with each other catching up with the latest stories and gossip in pleasant and convivial company before the main meeting followed. 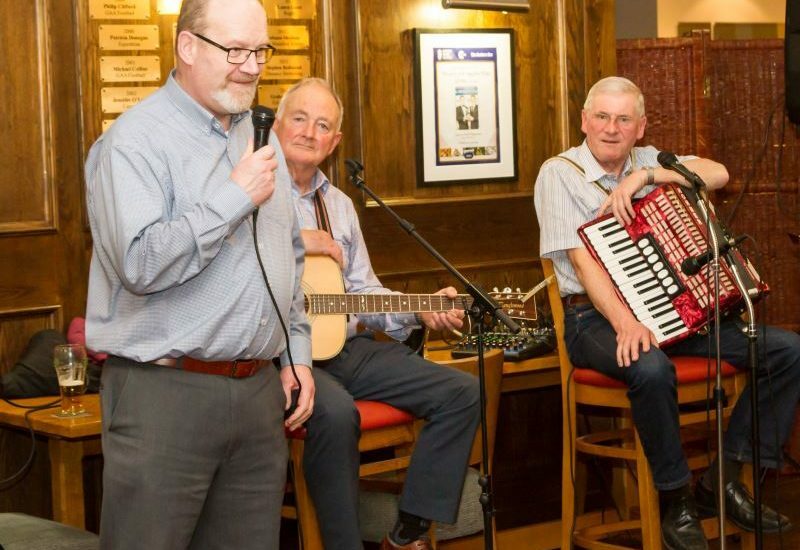 This time out all roads led to Clayton White’s Hotel in Wexford town for the Spring break. This 4* Hotel ticked all the boxes for facilities and food and everyone had an enjoyable time and met new friends and renewed old friendships over the three days. 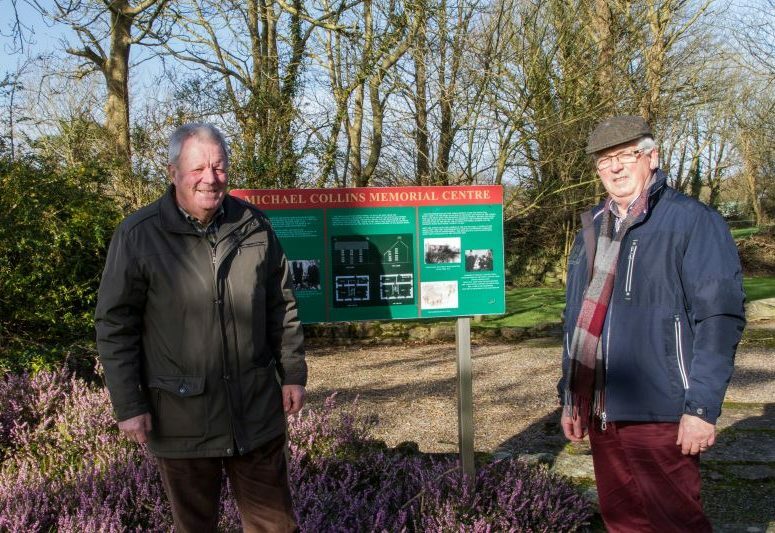 One very likeable and popular man at this event was Wexford native Nicholas Corish who returned to his roots from Dublin to attend yet another outing. 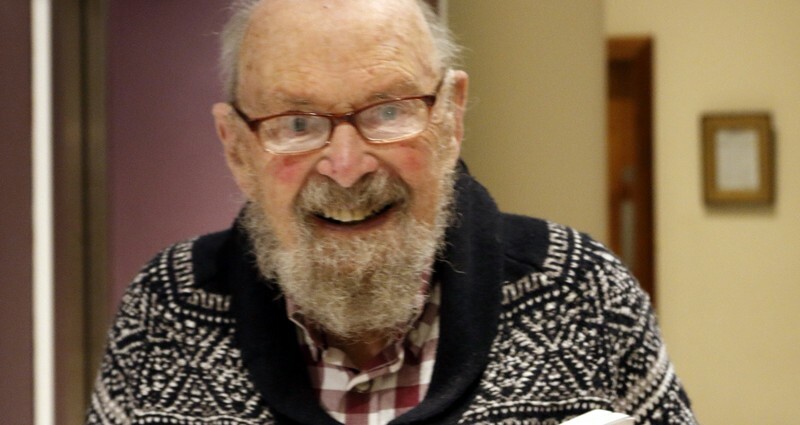 Considering Nicholas is all of 92 years old he was as sprightly as those 30 years his junior – so well done Nicholas and hope you make the 100 and collect that Presidential cheque – and little doubt but you will. 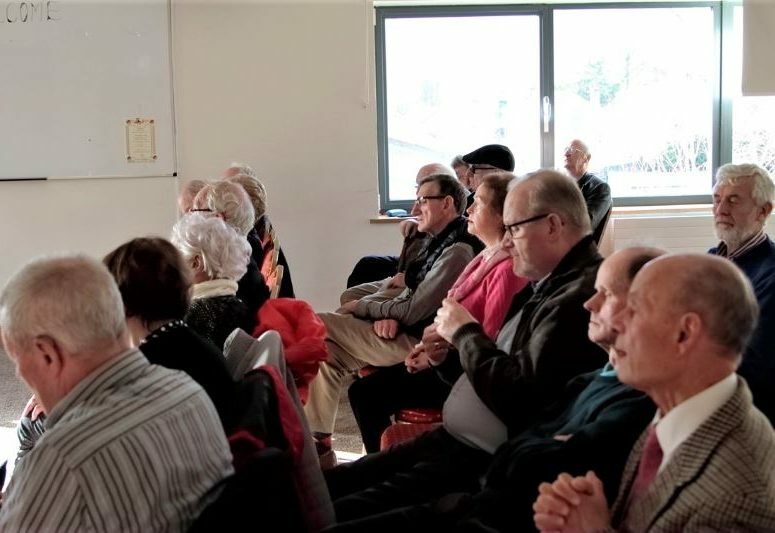 Our 26th March we had Tom Quinlan of Affordable Live-In Homecare give a talk to yet another well attended meeting in Brú Columbanus. Tom outlined how the company came to be formed out of circumstances that developed within his own family and the need to seek help – at an affordable cost – as he saw it. 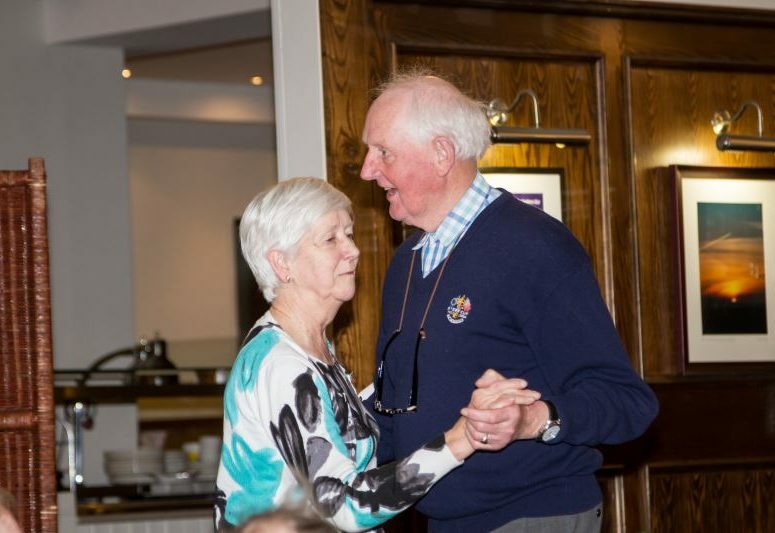 There were he said plenty options available in the market but all very expensive and most involved Institutional care – so Tom started up his own company based on the principle of the ‘patient’ remaining in their own home under the care of a trained helper. 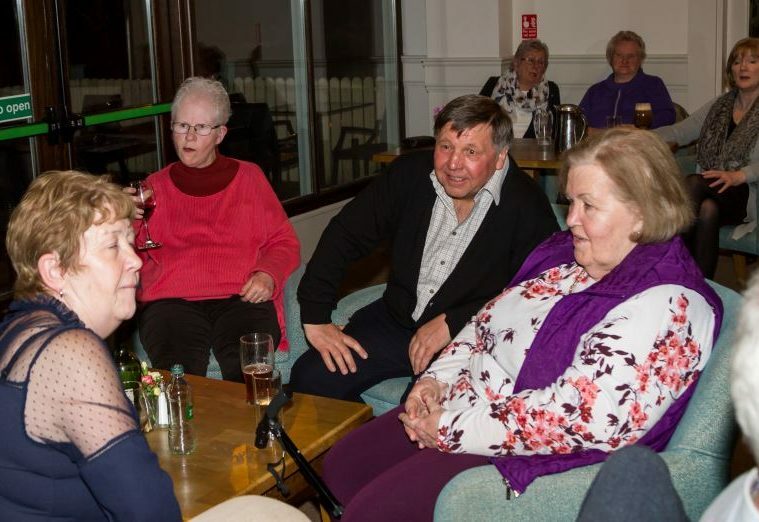 Most of the carers are from Poland and he explained very simply that the costs were much cheaper and this reduction was passed on to the family of the ‘patient’. Certainly an interesting concept and while just three years in existence is apparently doing very well and offers yet another option to people in such need. Just Google Affordable Live-In Homecare for more details. 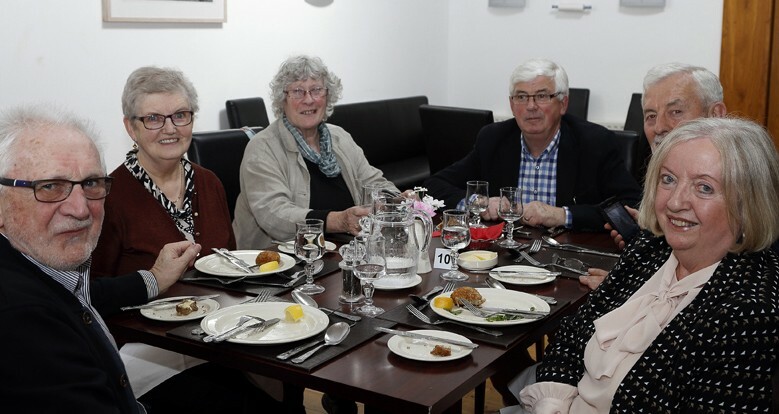 On Thursday the 9th March our Social and Cultural officer organised another very successful luncheon in the Catering and Hospitality building of CIT and the well-attended function surpassed even last year’s high standards. The students and staff of the college once again did themselves proud in every aspect of the meal from preparation and training to the presentation of the meal and the involvement of the well-mannered students. Everything went like clockwork and the four beautiful courses overlapped each other without a hitch. Now established as a not-to-be-missed annual event we look forward to the 2018 Luncheon already. Our talk on January 26th. 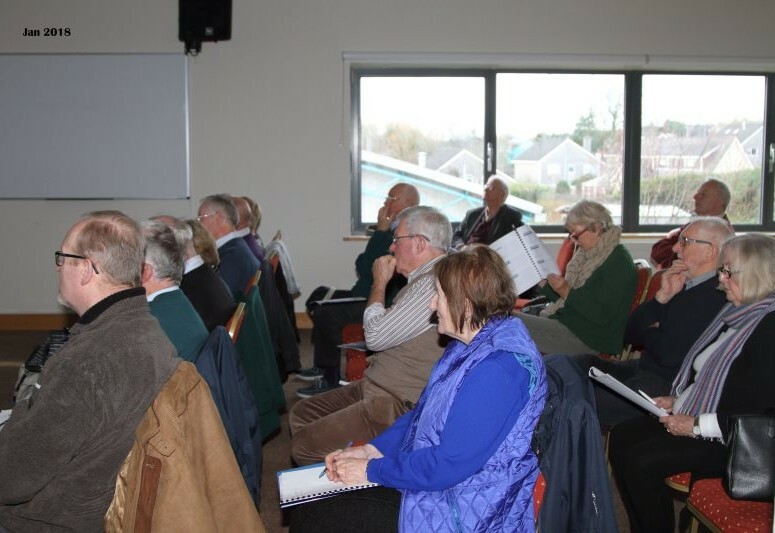 was on Health Insurance Options and was given by ‘one of our own’ in that Mark Jordan is himself a member of the RMA in the South East region and his well-researched talk was very well received by a fine attendance at the Brú Columbanus venue. Such was the interest and the volume of questions asked that Mark went to the trouble to forward some additional documentation for distribution to the members. Health Insurance is an important part of all our lives, and an expensive one at that, and Mark identified many of the ‘grey’ areas of health cover that we need to keep a close watch on – and not least to open our eyes to change within the very competitive Health Insurance market. 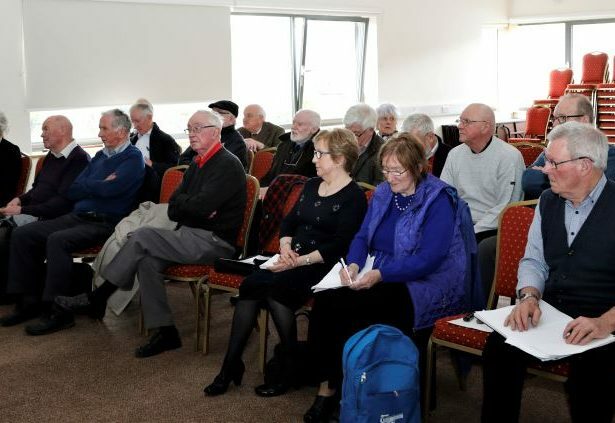 Our AGM proper began with comprehensive and detailed reports from the Officers on the activities of the branch over the previous very successful year. 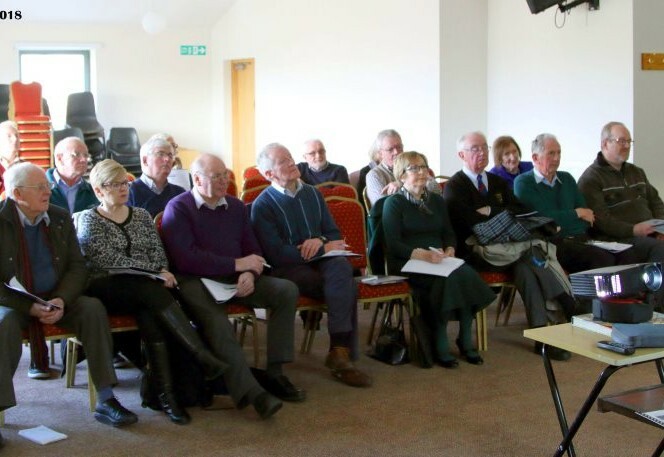 The National Chairman of the RMA, Jim McCarthy, updated members on what’s happening at national level and the importance of the links with the Alliance of Retired Public Servants in sharing the common task of restoring our pension rights and restoring the link between pay and pension. Jim McCarthy then chaired the meeting for the election of Officers. 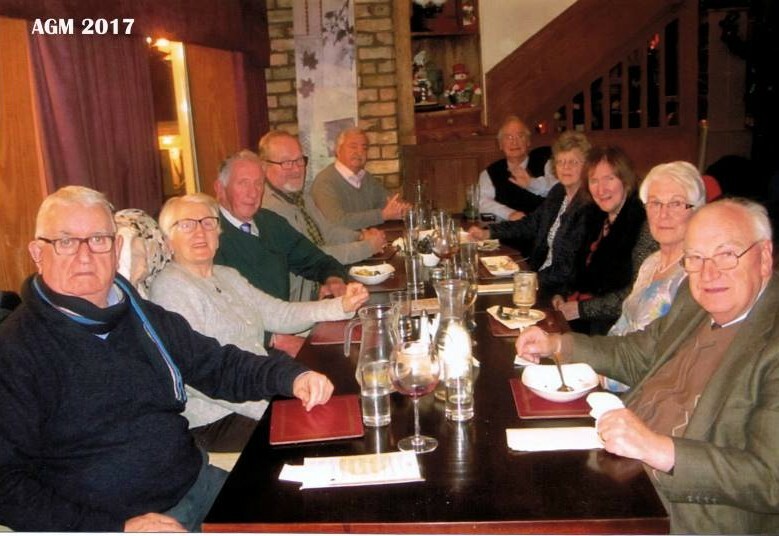 Following the meeting we all enjoyed Christmas lunch at Wilton Bar and Restaurant organised by our Social and Cultural Officer. 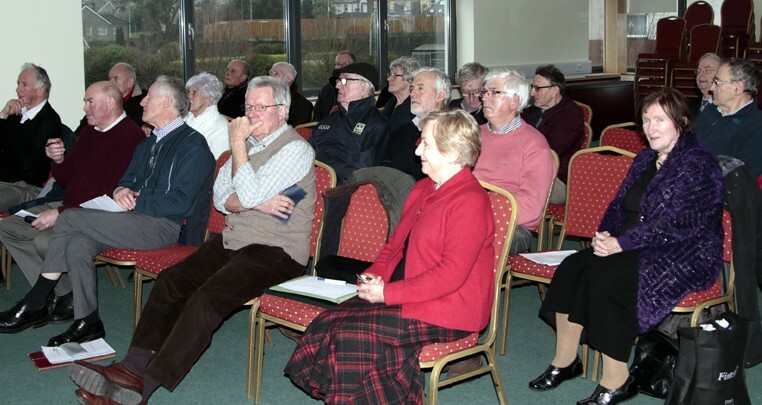 The Cork Branch of the RMA held their March meeting at the usual venue of Brú Columbanus Wilton and the well attended gathering began the afternoon with a very informative talk by M/s Ann Riordan of the Irish Heart Foundation. 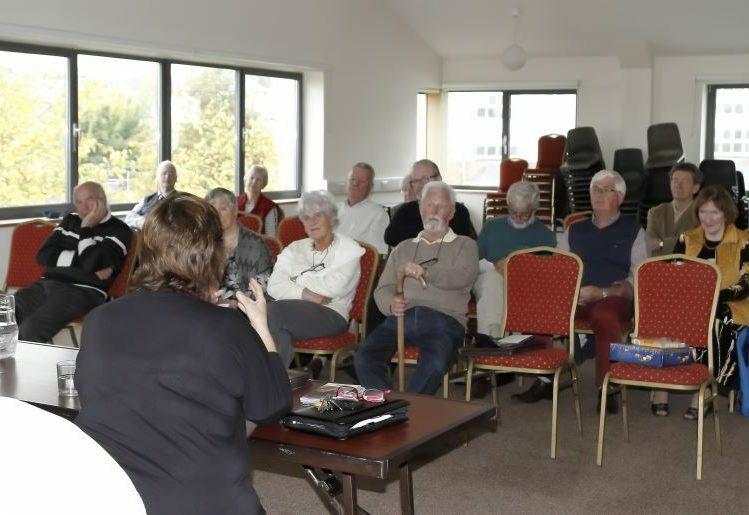 Not surprisingly the talk was on Heart Health and Ann went to great lengths to pass on all the right information on regular exercise and eating sensibly to look after the ‘pump’ and also told us a few home truths about a few bad habits we should avoid. 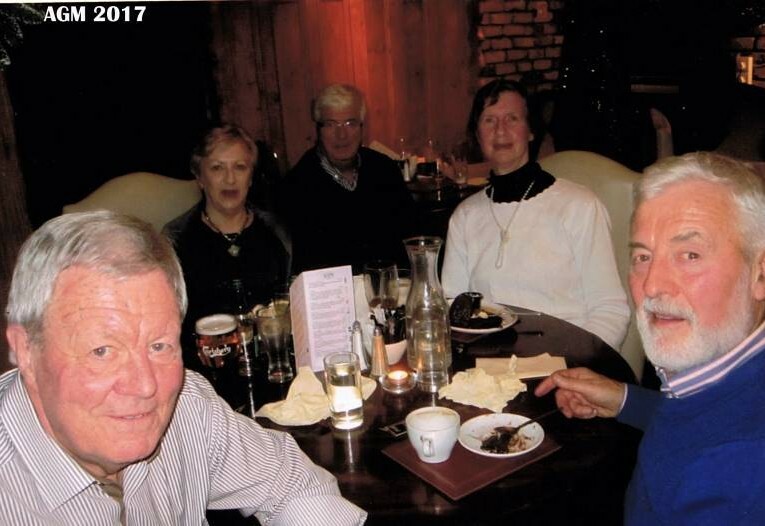 Before we finished we were left in no doubt as to what was right and what was wrong and any questions raised – and there were many- Ann dealt with them very efficiently – and at times humorously as the situation presented. 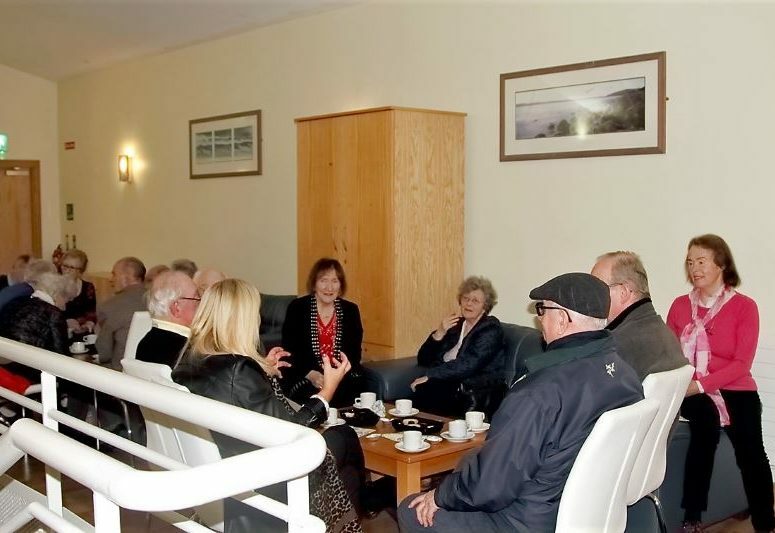 At the conclusion the Chairman thanked Ann for giving of her time and expert advice to talk to us – it was very much appreciated. 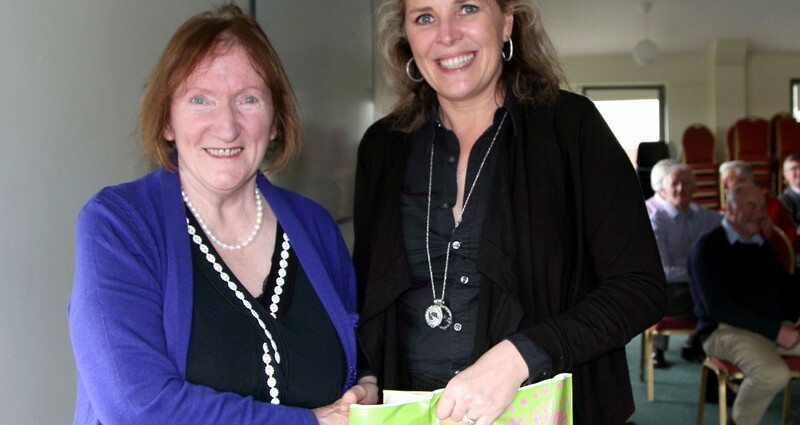 Our Social and Cultural Officer Annette Hannigan then presented Ann with flowers as a token of our appreciation. Following the talk the meeting enjoyed a relaxing coffee break before resuming the meeting proper. 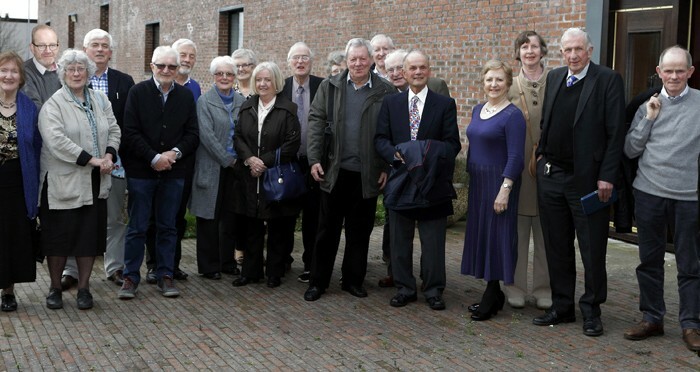 The afternoon was very pleasant and successful which hopefully the photographs help to convey. 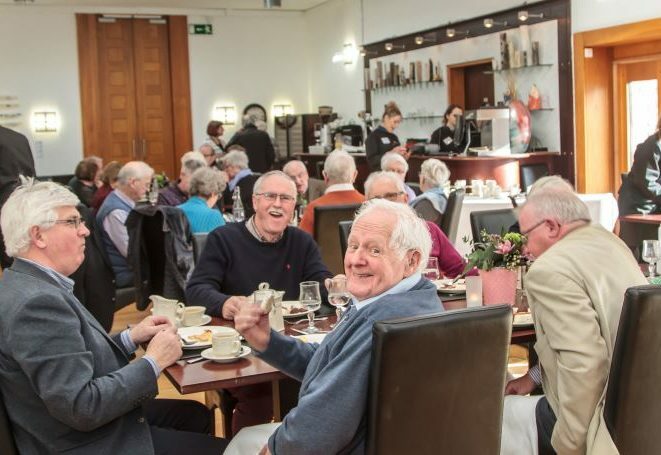 For the past number of years those of us in the Cork Branch have been privileged to have had the opportunity of dining in style, once a year, in the plush surroundings of the Tourism and Hospitality executive dining room of the CIT Bishopstown Complex. For the princely sum of €10.00 per head we are treated like VIP’s for the hour or so it takes for the three course meal, and it really is a treat. We were waited on hand and foot by the students of the College as part of their training regime, while the supervising staff kept a low profile in the background – suffice to say the students did themselves and the College proud. 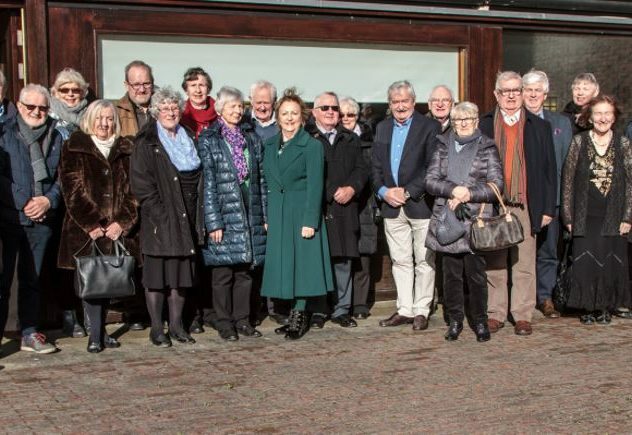 This year the event fell on the 2nd March and our thanks to Social and Cultural Officer M/s Annette Hannigan for her organizing skill and contacts in making this a memorable outing. 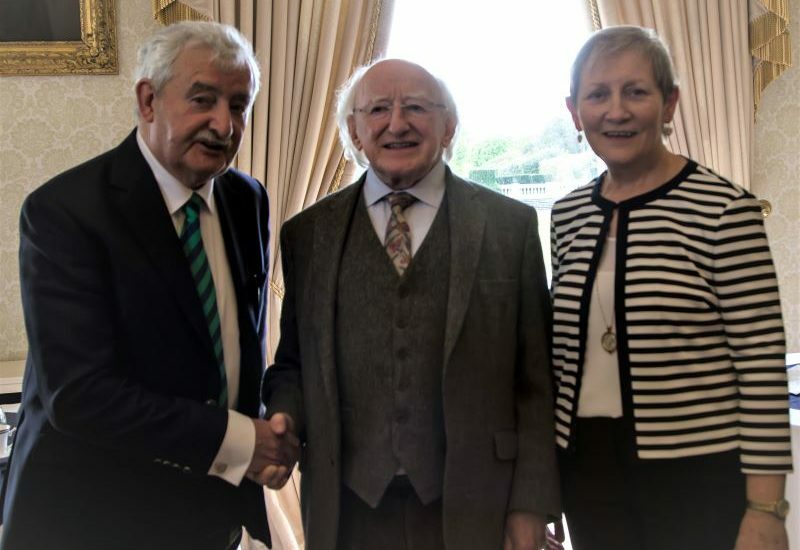 Annette also organized for Dr. Margaret Lenihan Head of the School of Humanities to give us a talk – prior to the lunch – which she did with confidence and skill – explaining the many areas of interest and courses available within the School to a broad range of student abilities. 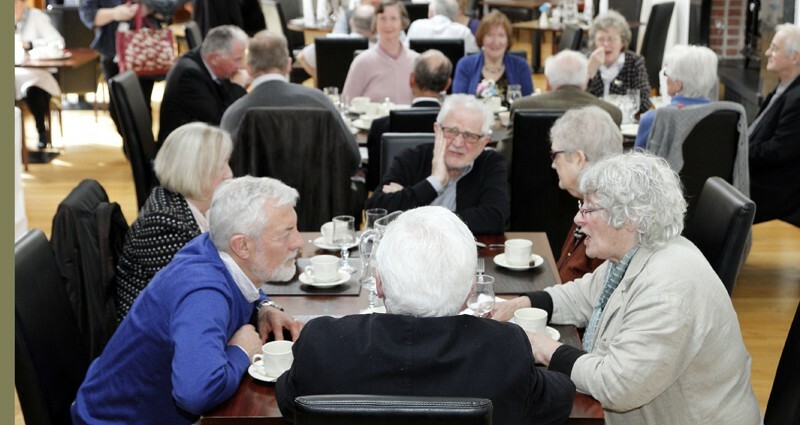 Looking forward to next year’s lunch already. 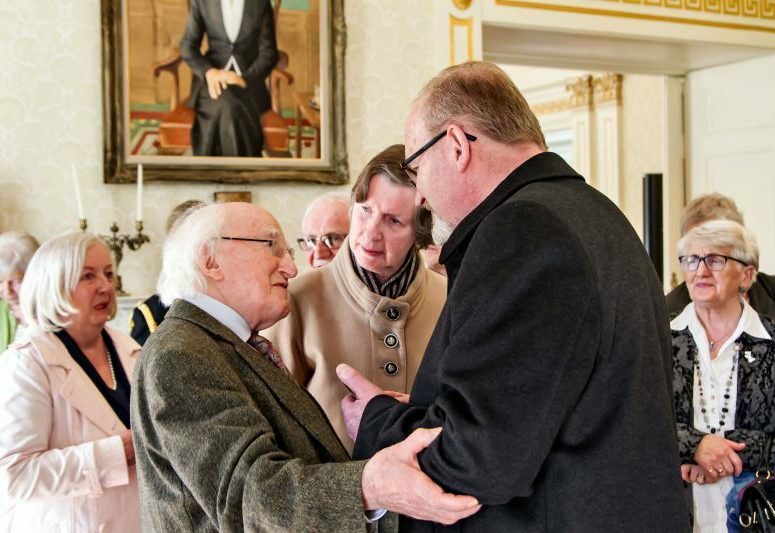 “Enda Kenny, Michael Martin?- It’s anyone’s guess at this stage". 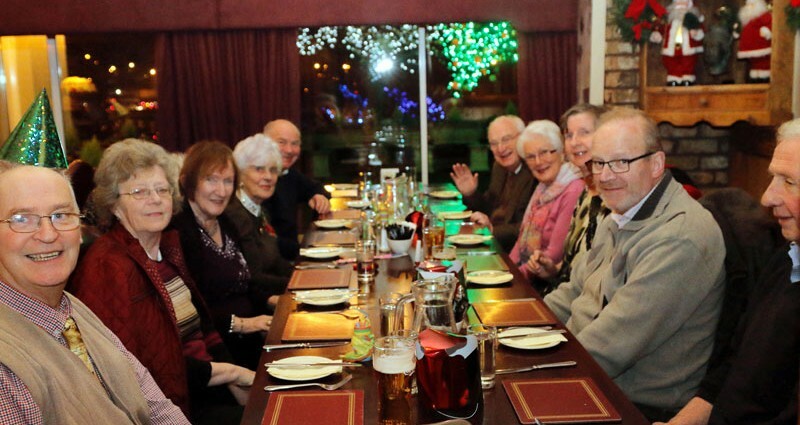 Priorities in life - good food, good company and pleasant conversation! 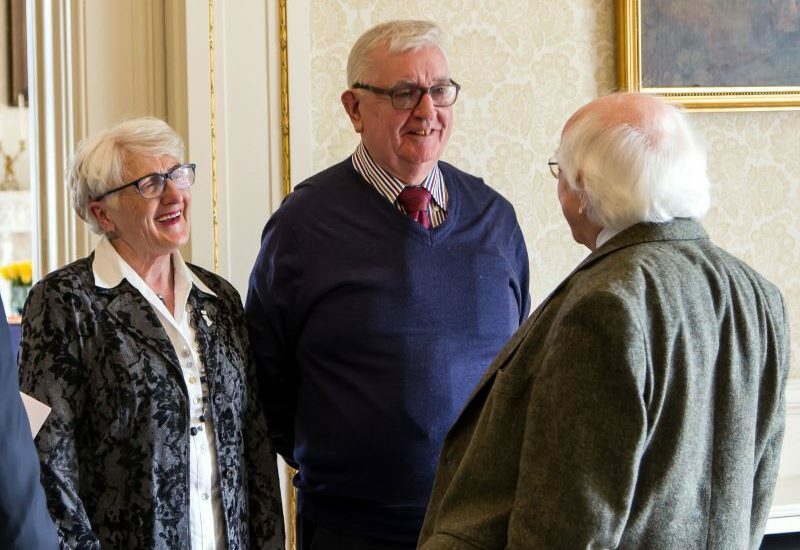 Dr. Margaret Lenihan Head of the School of Humanities CIT Cork shares a joke with Cork RMA Branch Treasurer Michael McCarthy with Jack Lynch in the background. Decisions, decisions – there comes a time when you just have to choose! 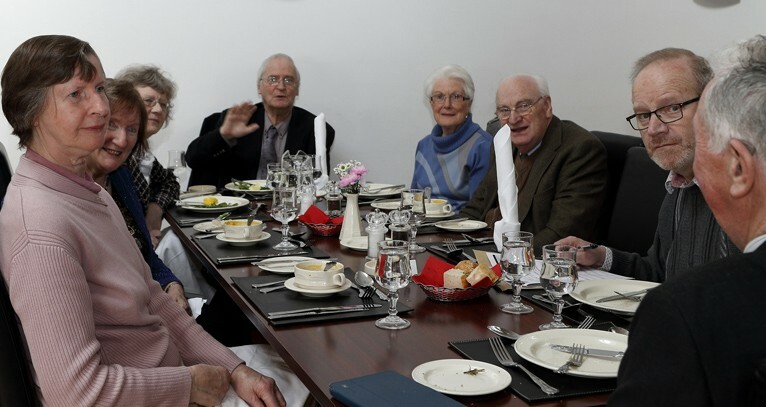 Well if that’s not a bunch of well fed retired teachers in what must be a post luncheon pose – then I’ll just eat my hat. 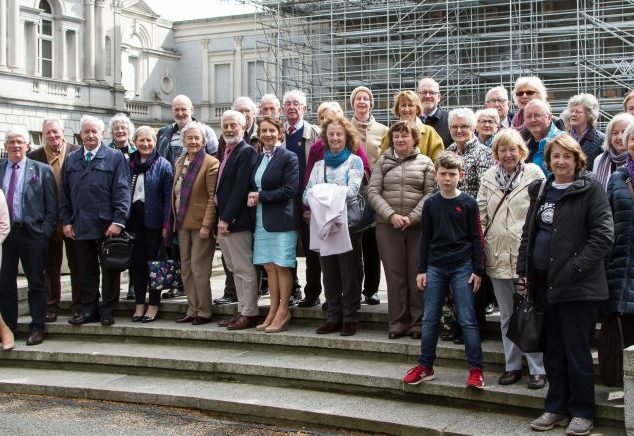 A very enjoyable visit to Leinster House was had by the Cork RMA/TUI and friends on Wednesday 6th November. 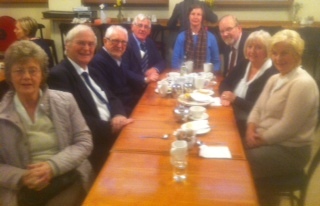 We arrived at 11.00 and were met by our Host Deputy David Stanton TD , Cork East. We would like to thank David very much for his kindness and care during our visit. We attended amendments to the Finance Bill with Finance Minister Michael Noonan. 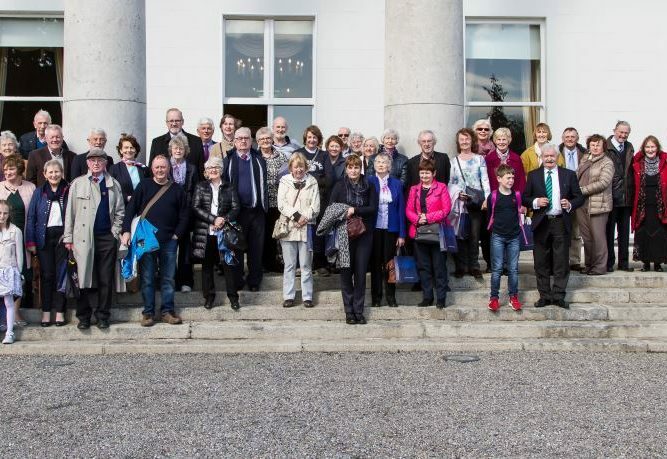 We were given a very interesting tour of Leinster House. 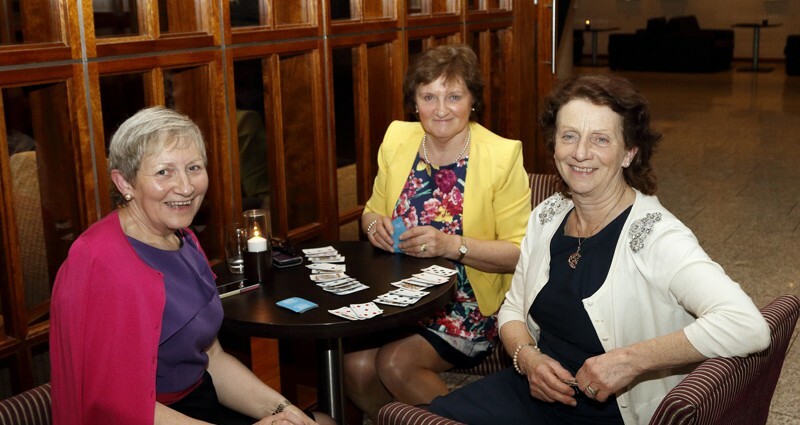 We sat in on a session of Seanad Eireann. 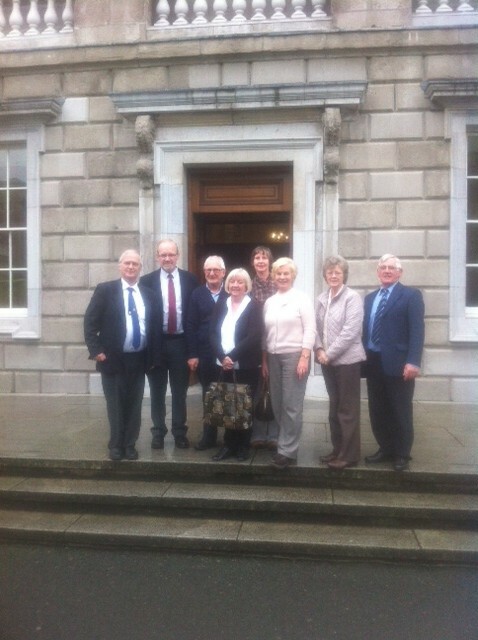 We attended a very lively session of Leaders Questions in the Dail concerning the HSE. 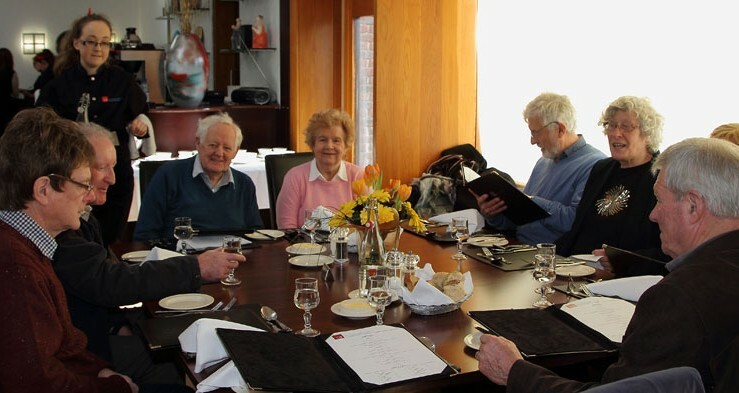 We had lunch in the members Restaurant. We left Leinster House at 14.00 approximately. A very fulfilling, educational and satisfying day for all.